In Chapter 5 we were introduced to the Worthy Lamb, the only one worthy of taking the title deed to the Earth. We'll continue on in our journey through the great book of Revelation next by exploring the horrors of Chapters 6-7. Feel free to watch, listen, or read along by clicking one of the icons below. Dr. Reagan: Chapter 6 begins with the Lamb opening the first seal of the little scroll. This action launches the first series of judgments from God's throne — the Seal Judgments. And, from this point to Chapter 19, the book is dedicated to describing a seven-year period of time called the Tribulation. Throughout these 13 chapters, Jesus is the Wrathful One, pouring out the wrath of God on those who have rejected God's love, grace and mercy. As Chapter 6 opens, the Tribulation period begins, and we get a foretaste of what it's going to be like — a period of absolutely unparalleled horror. Four horsemen go forth. The one on the white horse is the Antichrist who appears as an imitator of Jesus who will return at the end of the Tribulation, also riding on a white horse. The Antichrist goes forth to conquer the world. The other three horses represent war, famine, and death. One-fourth of the earth dies in this initial pouring out of the Seal Judgments. That's one and a half billion people in today's terms! Many of those who die are those who are converted to Jesus during this Tribulation period. They are martyred for Jesus Christ, and these spirits are portrayed as being in Heaven under an altar crying out to God, "How long, O Lord, holy and true, will you refrain from judging and avenging our blood on those who dwell on the earth?" With the opening of the Sixth Seal, we come across our first flash-forward to the end of the Tribulation. It's as if God is answering these martyrs by assuring them that He is going to pour out His wrath and that the evil people of this earth will ultimately be destroyed. And so, we get a flash-forward to the end of the Tribulation, and we begin to see how terrible that Day of the Lord will be when Jesus returns. The stars fall from the sky, the sky is split apart like a scroll, and the greatest earthquake in all of history occurs. The political leaders of the earth crawl into caves and cry out for the rocks and the mountains to fall upon them because the wrath of the Lamb of God is so terribly great. Chapter 6 ends with a question: "Who is able to stand" before the wrath of the Lamb? Dr. Reagan: Chapter 7 begins by answering that question. Before we get to the answer, let me note that Chapter 7 is the first of several parenthetical passages. These are passages that interrupt the action in order to insert a word of encouragement to the reader. Chapter 7 assures the reader that there are two groups — a group of Jews and a group of Gentiles — who will be able to endure the wrath of the Lamb. The first is a group of 144,000 born again Jewish servants who are sealed of God. They are probably going to be converted at the very beginning of the Tribulation by the Lord's supernatural destruction of the Russian army upon the hills of Israel, an event that is described in Ezekiel 38 and 39. It says in verse 3 that they will be "bond-servants" of God. I think that means they will go forth as messengers of God and will preach the entire period of the Tribulation as God's missionaries to the world. You see, the purpose of the Tribulation is not primarily punishment. The purpose is to bring people to repentance. According to 2 Peter 3:9, "God does not wish that any should perish, but that all should be brought to repentance." There is going to be a great harvest of souls during the Tribulation. Some people will undoubtedly come to the Lord in response to the Rapture. Others will repent and accept the Lord in response to the terror of the Tribulation judgments. Others will be brought to the Lord by the preaching of the 144,000. Others will respond to the message of the two special witnesses of God that we will read about in Chapter 11. And finally, in Chapter 14 we are told there's going to be an angel who will be sent out to preach the Gospel at the end of the Tribulation to every creature on the face of the earth. Most men will reject the Gospel, but many will be saved, and most of those will be martyred. The second group we see in Chapter 7, beginning with verse 9, is a great host of people from every nation, all tribes, all peoples, all tongues standing before the throne and before the Lamb, clothed in white robes. John asks who they are, and he is told in verse 14, "These are the ones who come out of the great tribulation, and they have washed their robes and made them white in the blood of the Lamb." I believe these are the ones who are converted by the preaching of the 144,000. They are murdered by the Antichrist and by his agents. 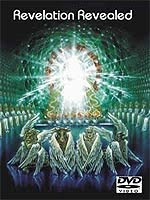 In the next part on this series on Revelation, we'll call our teachers back together again to discuss Chapters 4-7.
i`m not sure if the 6th seal is a flash forward cuz the 6th seal is a PERFECT discription of a killer astroid storm(which scientist have been predicting) global volcanic activity(also predicted) or an atomic warfare. could be either one of those 3. Checking in on Memorial Day just to say GOD BLESS OUR SOLDIERS! The greatest of all Americans. 'Things' have erupted - really bad. Is Purpose driven against prophecy? my son ridiculed me for wasting time reading Revelation? He seems to think that's all I ever do? He offered me an ultimatum of a way back into the family. I must not talk to any family member, especially the children, about 'GOD'. I could hardly believe what I was hearing. He is angry because I did once show my grandaughter my Hebrew and Greek Bible; she claims I told her she wasn't going to heaven??? (It isn't true but he believes it). I refused his offer, so I am now an outcast. Much more to this, it got worse. Both hubby and I are desperately unhappy about it all. You're not an outcast with US. WE are your Christian family and we will spend eternity together. I know that doesn't help with the painful situation with your "real" family but know WE care about you! Agreed, Billy! I'm so sorry to hear about the troubles you're having with your son over his emergent-driven faith, E.I. Maybe he doesn't want to talk about God with you anymore to keep the conflict down? I'll be praying for God's peace upon your family. Emergent just means Catholic 2.0, so yes, anything Bible prophecy related is thrown out. For a comprehensive list of Emergent beliefs, check out What Does the Emergent Church Movement Believe? Your post really moved me when I saw it early this morning; it lifted me to have a better day knowing my brother in Jesus took the time to encourage me. God bless you Billy. Just before bedtime and I am newly encouraged by your post. There is such a lot I would love to share with you all, but this isn't the place for detail. My third son called in from work to give me the biggest hug telling me he loved his 'nutty' mum very much. He is on good terms with his brother, for which I am grateful, so I say little to him - however there is no need as he is fully aware. Please may I request prayers for the spiritual protection of the rest of my family, especially the children at the dedication on 3rd June. I am learning just how seriously dark it is at Robinswood church, there is some mighty strange stuff going on and they all think its great.~~shudder~~. Thank you for the info; I am going to print it off to save my eyes. I am SO chuffed you enjoyed Zulu; its what we would call a 'bobby dazzler'. Thank you both again from the bottom of my heart. I feel less desolate than I did and feel hope that The Lord is going to intervene. Maranatha! God bless you and keep you and your little tribe Nathan. 1st of all, since Revelation 1:3 says there's a blessing for reading it, and for hearing it, and for taking it to heart, you could say "I kinda rather enjoy all the blessings I'm receiving, thank you very much!" Sounds like your son is the one running amok with a sword and not knowing why! Matthew 10:34-36 "34 Think not that I am come to send peace on earth: I came not to send peace, but a sword. 36 And a man's foes shall be they of his own household. " Matthew 12:30 "He that is not with me is against me; and he that gathereth not with me scattereth abroad." Luke 22:36 "Then said he unto them, But now, he that hath a purse, let him take it, and likewise his scrip: and he that hath no sword, let him sell his garment, and buy one. " Amen to all you said even though it cuts my heart to bits. My once gentle son's personality has changed - thats a bad sign! He was questioning me by repeatedly calling me by my name. I hated it, and refused to speak with him again until he call me 'Mum'. Such haughty arrogance, 'now tell me, do you believe there is only one God Mum' I said 'yes'. He said 'do you believe there is only one way to God Mum.' 'Yes'. He gradually got me to affirm the Gospel then said arcastically 'Well then Mum, you believe exactly the same as Robinswood Church. So just exactly what is your problem?. I replied, 'that's the foundation of our faith, that isn't the problem. It is what is being built upon the foundation, and Robinswood is building with hay, wood, and stubble by using fleshly effort. At the Bema seat, all that work and effort will be burned up". He was stumped and clearly shocked, 'you mean all our work will be burned by God Mum'? You get the picture. He was so confident that the 'prophet's' words were coming true as 'it is growing very big'. i said "That isn't prophecy, that was a declaration of intent to do some building, and all apostate churches and false religions build their own empires, like Rome, Mormans and J.W.'s. The Lord Himself builds, but with a remnant". I have mentioned this because it seemed to get to him. When I said Simon Jarvis had applied Isaiah 61 to himself as proof he is a prophet sent by God, he said "Oh no, thats not right". Then asked me, but everyone gets it wrong at times, even you Mum'. I agreed and said 'but I'm not a teacher, deceiving hundreds of people, more is demanded from a teacher than the rest of us. That was another he was unable to answer! Sorry to be so long winded, but it is my hope The Lord will niggle away at him with doubt until he comes to realise he's been duped by Simon (Magi) Jarvis. This is the only way I can pray for Jarvis, by using Acts 8:9- as a template - and honestly, it really fits. Thank you so much for your prayers, I am massively grateful. God bless you. An extra thought concerning Biblical prophecy. Its hard to explain, it seemed to me that my son had been prompted to say this about Revelation and was meant as a criticism against me personally. The thing missing from his comment is that one third of the entire Bible contains Prophecy, not just Revelation. Indeed Revelation can only be understood by knowing the Old Testament. By rejecting Bible prophecy, they avoid the warnings given about what will happen with the apostasy. The Bible does not support any sort of a huge 'revival', rather, exactly the opposite, the falling away from THE Truth which is what we are seeing with all that is going on. Even if we do not understand very much about the subject, knowing this prophecied fact is enough warning that the 'revival' cannot, therefore, be genuine. I'm so very sorry to hear about your trouble. I was praying for you just this morning. But why not accept your son's terms? That way you could still see the kids and the rest of the family. Your son hasn't banned you from totally showering them all with love, has he? After all, if actions speak louder than words, your gracious, unconditional love toward everyone in the family would speak VOLUMES! And without even speaking the name of God, you might very well convince them to think differently about you (and most importantly, about our loving Heavenly Father). It might be worth a try!